Join the world’s largest youth shooting sport event! In order of importance, the three priorities of the League are Safety, Fun and Marksmanship. All participants and spectators are required to adhere to all event rules and requirements included in the League’s policies and procedures. Any participant or attendee who does not adhere to these rules will be disqualified and/or asked to leave the event. All student athletes, teams and spectators are invited to the Trap Shooting Championship. For more information about eligibility and registration, click here. $6.00 per round. 7 a.m. – 7 p.m. (except the first Sunday – closes at 4 p.m.) Due to high participation levels, practice rounds may or may not be available, based on the host club’s staffing and field availability. In the event of inclement weather before or during the Championship, the League will make safety the first priority. When lightning is observed or thunder is heard, the event must be suspended. The occurrence of lightning or thunder is not subject to interpretation or discussion. Lightning is lightning; thunder is thunder. If severe weather is forecast, and time permits, all participants may shoot a lesser number of targets as determined by the event committee. If time permits, all participants will shoot more targets until the prescribed number of targets has been shot. If weather does not permit completion of the shooting, the team with the highest score of the round(s) every shooter was able to complete, will be deemed the winner of that competition for the Championship. If the day’s event gets cancelled the event will not get rescheduled. Coaches should bring emergency contact information for all their athletes for reference if needed. Novice, Junior Varsity, and Varsity shooters may be squadded together. Patches will be awarded to those student athletes that achieve 25, 50, 75, or 100 straight at the event. Event practice rounds are not eligible. Novice, JV and Varsity team: 1st, 2nd and 3rd place. 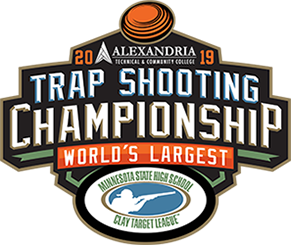 The top 40 teams (5 highest scores regardless of Classification) based on total team score from the Minnesota State High School Clay Target League Trap Shooting Championship June 11th-19th qualify for the State Tournament. If all individual scores on the teams are tied for 40th place, then the longest reverse run tiebreaker method is used starting with the high gun score. If that score is tied, then subsequent lower scores will be used utilizing the same reverse run method. 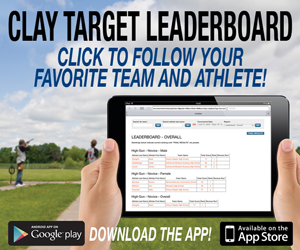 If the number of competition targets is reduced for the Championship day’s competition, the following calculations will apply to each student athlete’s score to achieve a qualified 100-target event: 50 targets: Add Week 5 scores, Cancellation: Add Week 4 and Week 5 scores. 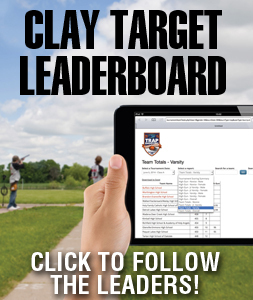 Individuals competitors for the MSHSL State Tournament are determined by the top 100 individual averages (including ties) in the Minnesota State High School Clay Target League’s spring season. Read more about the MSHSL’s State Tournament. Friendly, obedient and socialized pets are permitted at the event. Pet owners, who bring their pet, are at their own risk and agree to accept full responsibility for any physical damage or personal injury caused by the owner’s pet or to the pet while on event property. Pets brought to the event must be current on all vaccines and must be able to provide proof of a current rabies vaccination upon request. Flexi-leads are not permitted. At all times, pets must be kept on a 6′ or shorter leash while on event property. As a responsible pet owner, please clean up after your pet.